Beauty In The Mirror: Giveaway Time, Your chance to win a Limited Edition Gold/Silver Ped Egg?? Giveaway Time, Your chance to win a Limited Edition Gold/Silver Ped Egg?? Hello everyone, I'm VERY excited to be holding a competition for you lovely people! 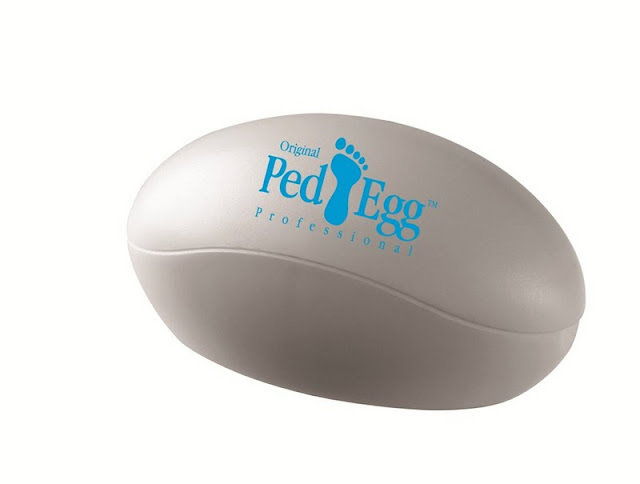 I have the chance for 2 lucky followers to win a limited edition Ped Egg- one gold and one silver to giveaway, these aren't available to buy anywhere. So get entering people and make sure you read the rules below! Sorry I haven't got an image of the the gold and silver Ped Eggs but here is the original white Ped Egg which is amazing, you can read my recent review here to see what I think of the Ped Egg. * You MUST be a follower/member of this blog Mirror, Mirror On The Wall through Google Friend Connect. Old and New followers welcome, you need to press the Join this Site button which is situated at the top right side of the blog. * Please leave your GFC name so I can check you're a follower. * Please leave a comment telling us which other colours/designs you would like to see Ped Egg do. * Please show some love and 'Like' JML's Facebook Fanpage here, please let me know if you've done this. This competition will run for 3 weeks and will end on Saturday 1st October, a winner will be hand picked from a lucky hat. Please make sure you leave your email address so I can contact you if you're a lucky winner! thanks alot 4 this giveaway!! Lovely giveaway! I really like it in gold, but something like a leopard print or a zebra print would be nice! I'd love if there was a pink and black one, that'd be fab! I'd love to see some printed desings like leopard print, stars, ect. I'd also love to see neon colours or glow in the dark that would be cool, lol. I think animal print ones would look cool, especially zebra print + leopard print just to jazz it up a bit! :) though i am slightly obsessed with animal print on anything at the moment. I would love to see some printed designes like stars, hearts, cats & bugs. About the collors, I would love if you keep the blue one. I would like the eggs to be pink, because it is a girlie, beauty-related color. It may also have cute prints with caricatured girls doing their pedi, talking on the phone or just being beautiful, it would give me the impression of cuteness. I liked the JML's Facebook Fanpage: Oana Catalina. I would love to see this in Purple since it's my fav color. I'd like to see a teal coloured one! I`d like to see a Ped Egg pink, but the design I love it just the way it is. I like JML`s fan page, my name on FB is Iuliana Gondos.